Lenovo today announced it's first Moto-branded tablet Moto Tab, an everyday, versatile tablet designed for the entertainment. Available starting November 17, the Moto Tab features a refined design with a sleek metal frame and soft-touch back that’s comfortable to hold. It offers long-lasting 7000mAh battery, a beautiful display that looks good in any light, and increased onboard memory with expandable storage. 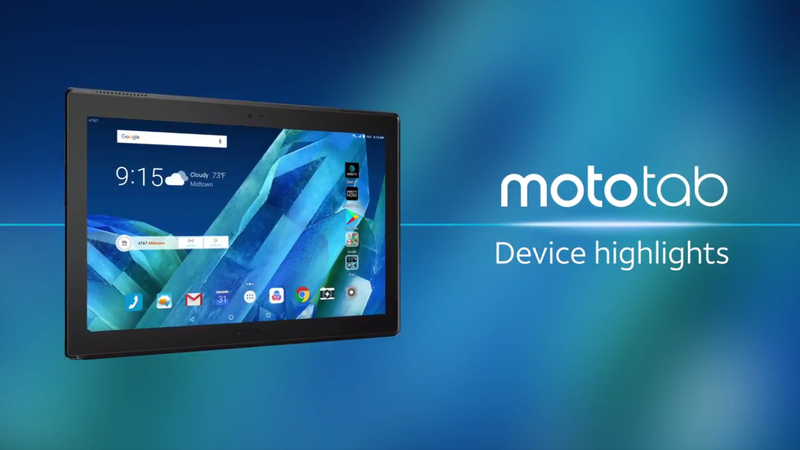 Moto Tab will sport a 10.1-inch FHD display with IPS panel. It is powered by Qualcomm Snapdragon 625 processor paired with 2 GB RAM and 32 GB internal storage (Expandable upto 128GB). The Tab will pack a 7,000 mAh battery while running on Android Nougat 7.1.1 out of the box. It comes with USB Type-C port, Fingerprint sensor, Dual Speakers with Dolby Atmost sound. The company will also launch Alexa Assistant Dock and Mouse-Keyboard for Moto Tab soon. It will be available in United States for AT&T subscribers starting 17 November 2017 for $ 299.99 which amounts to Rs 19,500. Thoughts?